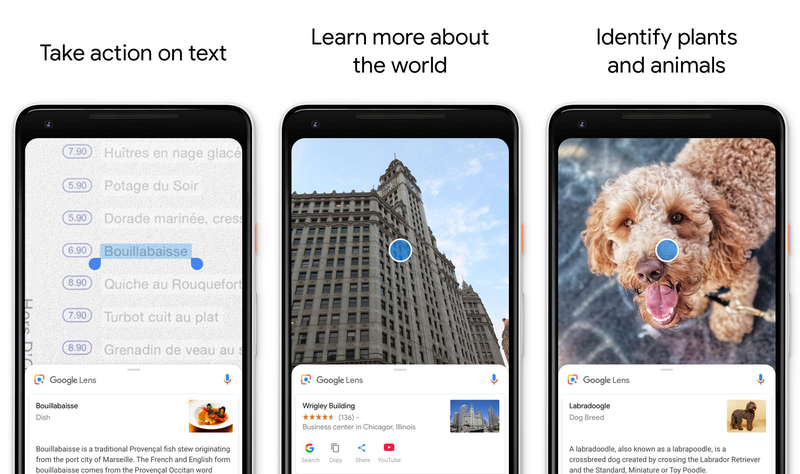 Google Lens is available on most Android phones in some fashion, but now there's another way to access Google's computer vision platform. There's a new standalone Lens app in the Play Store. There aren't any new features in the app—it just opens a viewfinder with Lens to identify objects in the real world... maybe. You know, it's Lens. The app appears to be compatible with every phone running Marshmallow or higher. When you open the app, it goes right into a live viewfinder with Lens looking for things it can ID. Like the Assistant version of Lens, you can tap on items to get more information (assuming Google can figure out what they are) and copy text from documents. However, I've noticed that copying text doesn't work on the OnePlus 6 right now. It works fine with the built-in Lens version. Many phones already have Lens in Assistant, so the new app seems a bit redundant. Lens was exclusive to the Pixels for a while, but Google started rolling it out widely a few weeks ago. It's possible the feature won't hit all phones, so the app could be meant to fill the gaps. If you want to get the standalone app, it's in the Play Store and on APK Mirror right now.